Inspired by letters written to a boy in Uganda….. this original mixed media piece is created with vintage papers, acrylics and watercolour crayons. The painting measures 24″x24″ with 1.5 inch sides that have been painted black. It is wired in the back and suitable for hanging unframed. The entire piece has been coated with a matte finish, but it does have quite a bit of sheen. 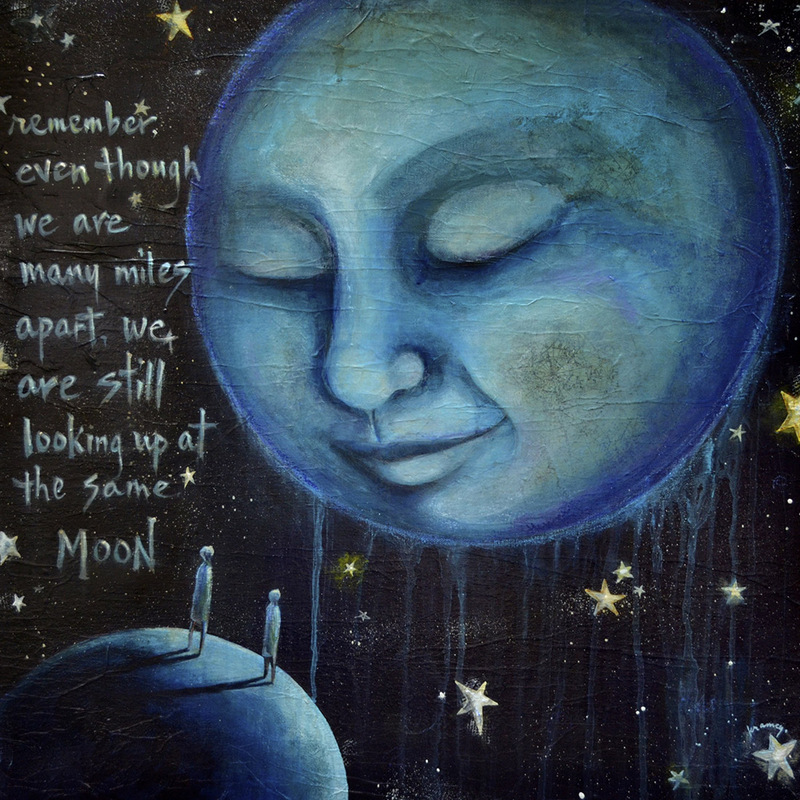 The words on the painting read “remember, even though we are miles apart we are still looking up at the same moon.” When you look closely at the man in the moon you can see vintage astronomy maps peeking through the paint.